Gardening does not always mean that you need to grow plants in full sun. Shade in the garden is like a nightmare for many gardeners. Though most of the vegetables like tomatoes or cucumbers require full sun for their development, many plants can grow wonderfully well in shade. 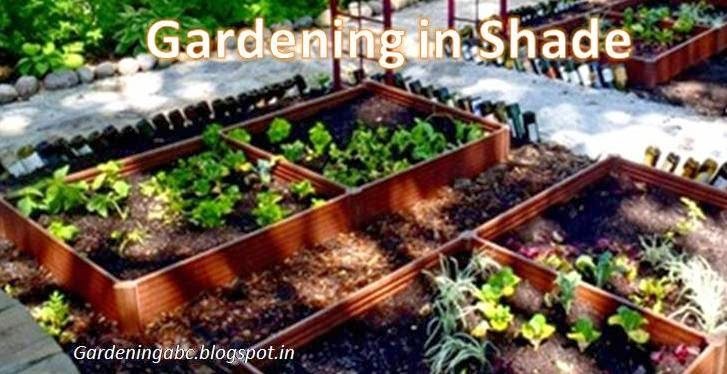 Here in this article, we will try to give you some idea on shade gardening and some vegetables that grow in full shade. When people talk about shade they can mean a variety of condition. 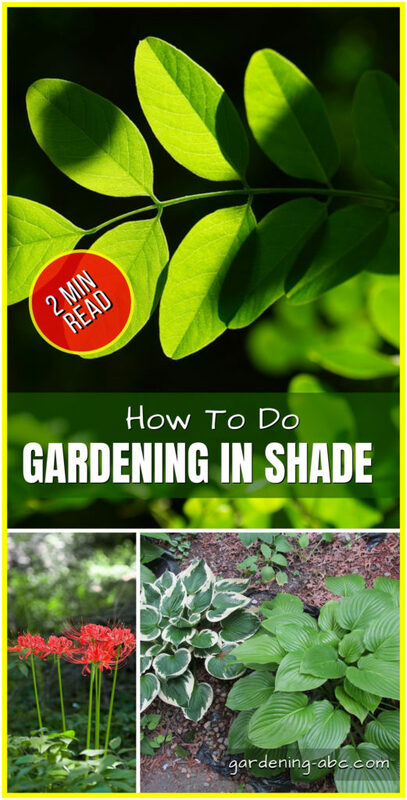 So at times, it can be confusing to what actually a shade gardening refers to. First of all, let us make a distinction between different types of shades. This kind of shading refers to a condition where the place receives direct sunlight for less than 4 hours. This is a condition where there is no direct sunlight throughout the whole year. There are some plants (like Euphorbia) which can grow well in areas like this. If you are planting under some big tree the chances are that apart from being shaded, the place will be very dry. As the water content of the soil is mostly sucked in by the big trees. There are a few plants that can survive in these conditions also. In case the planting is near any big water source such as ponds or rivers the soil remains very wet through the season. In this condition plants are never short of water. It is the partial shade that we will discuss in this article. As we have already discussed in our earlier article Sun or no Sun, if you want to grow fully grown fruits in a plant, you need to provide them more than 6 hours of sunlight. Having said that, crops such as Spinach and other leafy vegetables, Peas, Cauliflower can grow pretty in partial shade. Most of the plants which grow in the shade generally have larger leaves to absorb more light. Do not crowd shade tolerant plants. It will help to absorb most of the light available. Less crowding will also increase the air flow through the plant and will reduce many diseases. Paint the walls of your buildings surrounding the shady area with lighter paint. It will increase the light reflection and provide light support to the dark shady areas. You can also use mirror tiles or metallic surfaces for this purpose. There are some benefits also if you are doing gardening in shade. If you remember, while discussing growing tips about Cauliflower and several others we have informed you about the effect of heat on bolting. In case your gardening is in the shade the impact of bolting can be reduced. The leafy vegetables such as Spinach lettuce grown in partial shade will look much fresher and you can enjoy them for a longer period of time. This is due to the fact that the more they are in the sun the larger will be the amount of water loss. Talking about water, you also need to water the plants less regularly than when in the direct sun. By knowing ideal plants for shade, you can very easily optimize your total garden space. Plant the plants that prefer direct sunlight in the sunny place whereas as in rest of the partially shaded areas you can easily cultivate the rest of the plants. It will help you to double your total vegetable output. If you like the article, please share it with others.